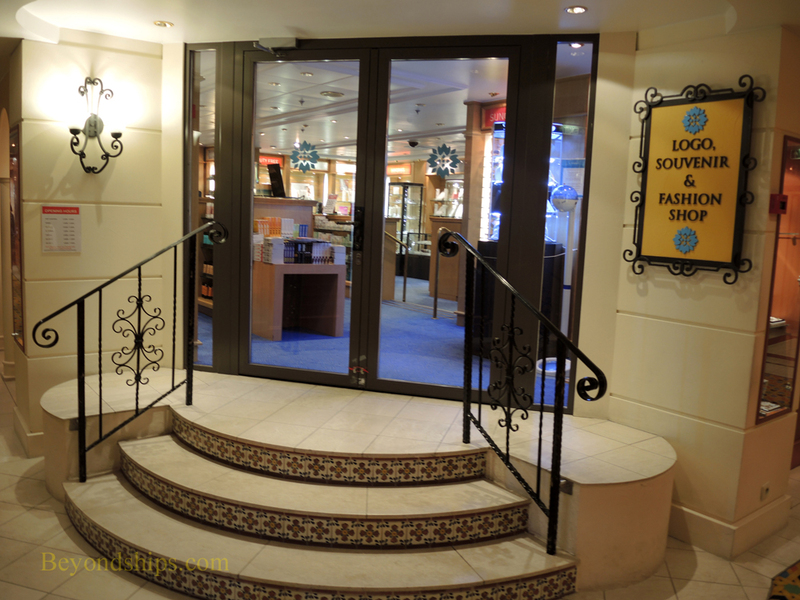 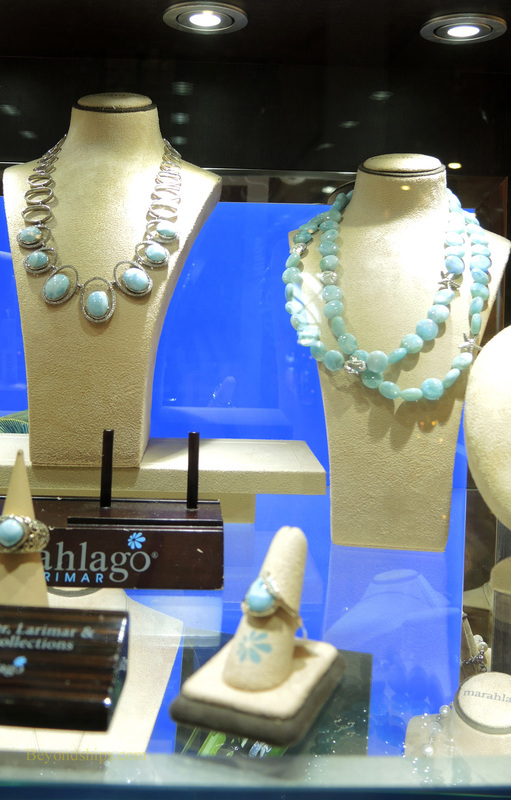 Spirit has a number of nicely done shops which sell clothing, jewelry, logo and souvenir items and duty-free goods. 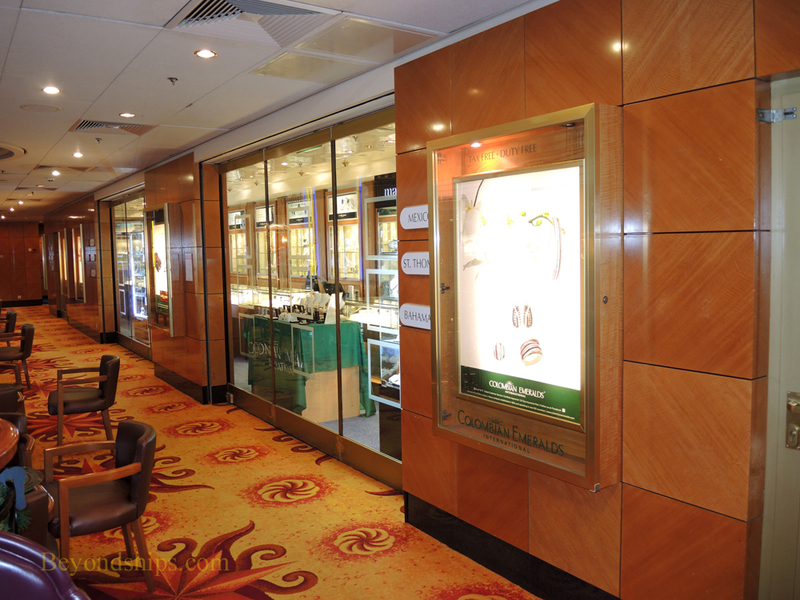 Above left: The Photo Gallery offers souvenir photos and portraits taken by the ship's photographers as well as camera equipment. 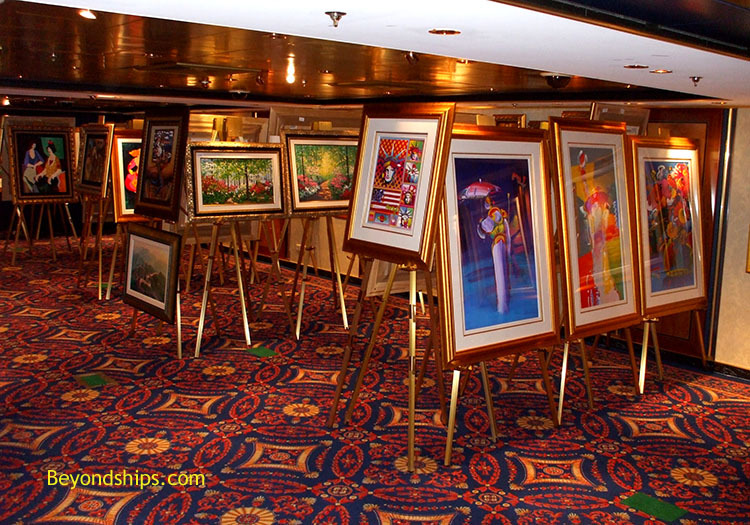 Above right: The Art Gallery sells works of art and can be used for other functions such as weddings. 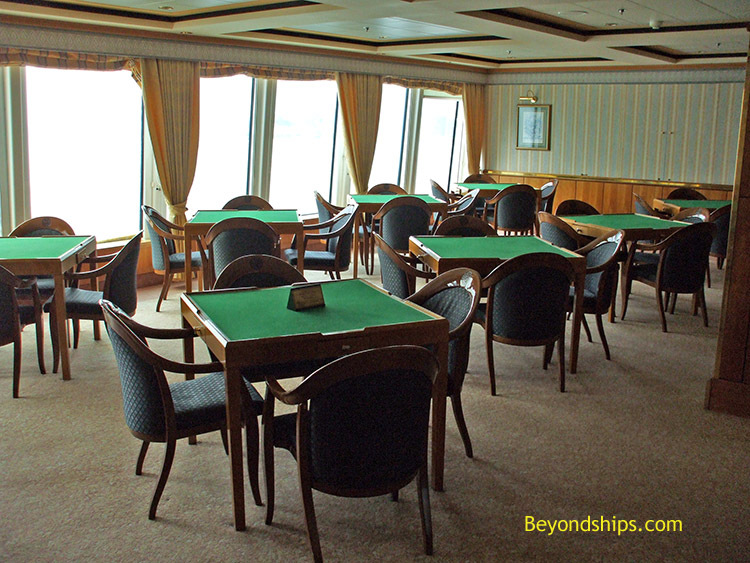 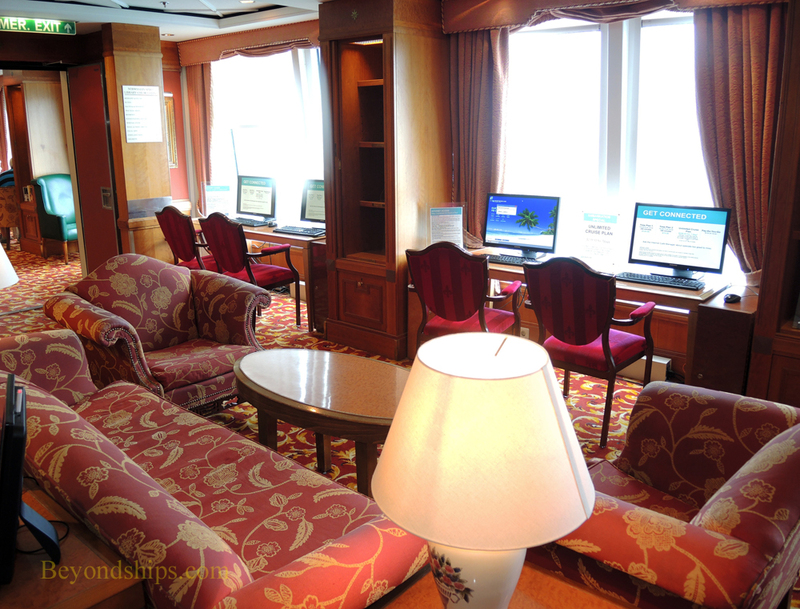 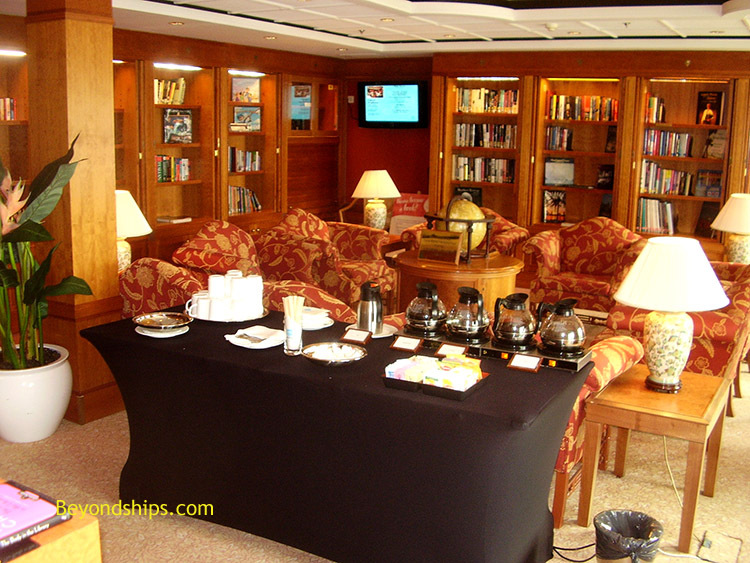 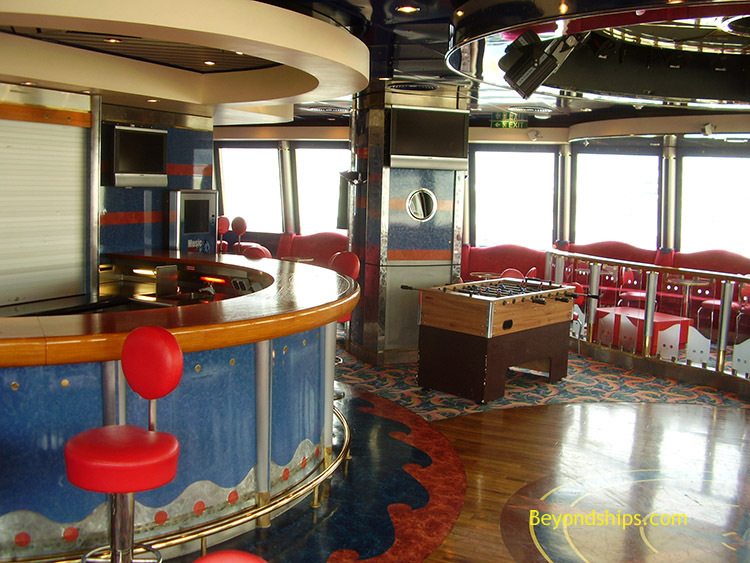 On the starboard side of Deck 12 Spirit has a series of rooms including the Library (above left), the Internet Cafe (above right) and the Card Room (right). 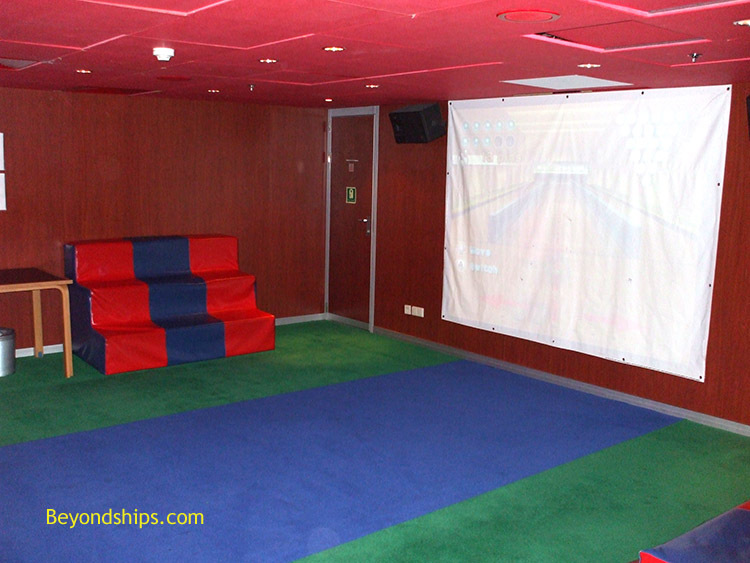 Spirit has an extensive program for children and young passengers. 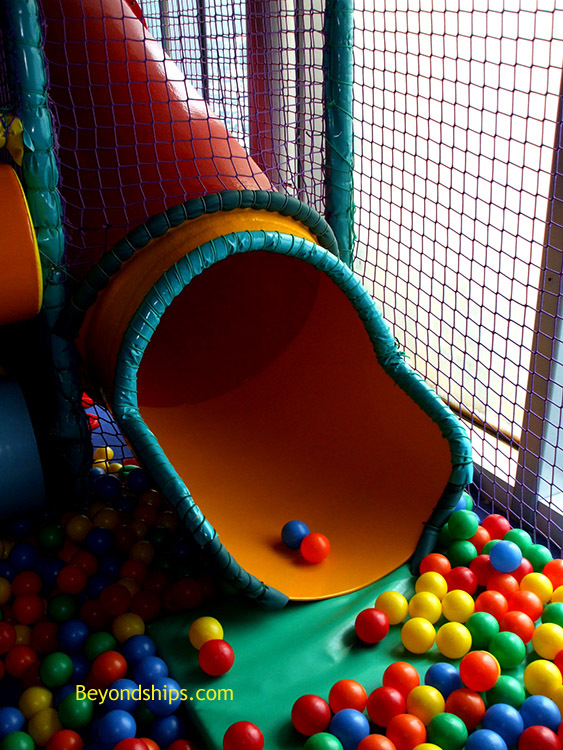 This includes organized and supervised activities divided according to age . 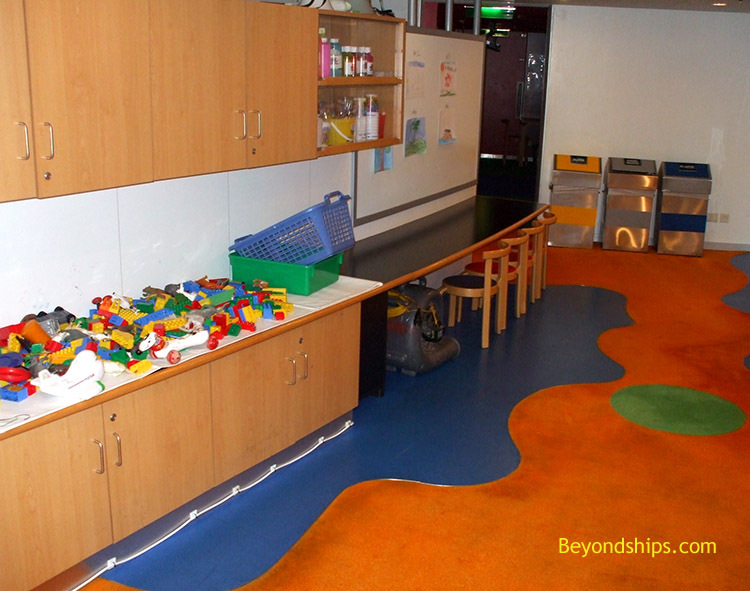 The headquarters for this program is The Splash Academy, which includes a play area, a cinema, computers, an arts & crafts section as well as a nursery and a sleep/rest area. 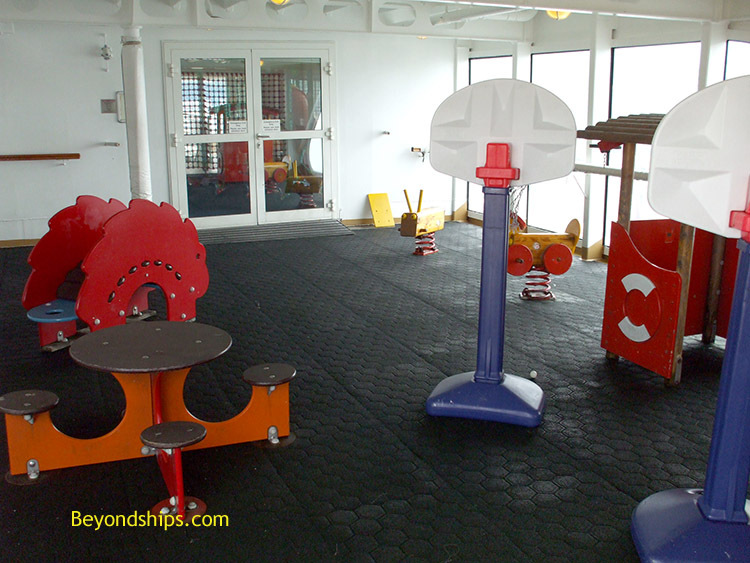 The Splash Academy has an outdoor covered play area (left). 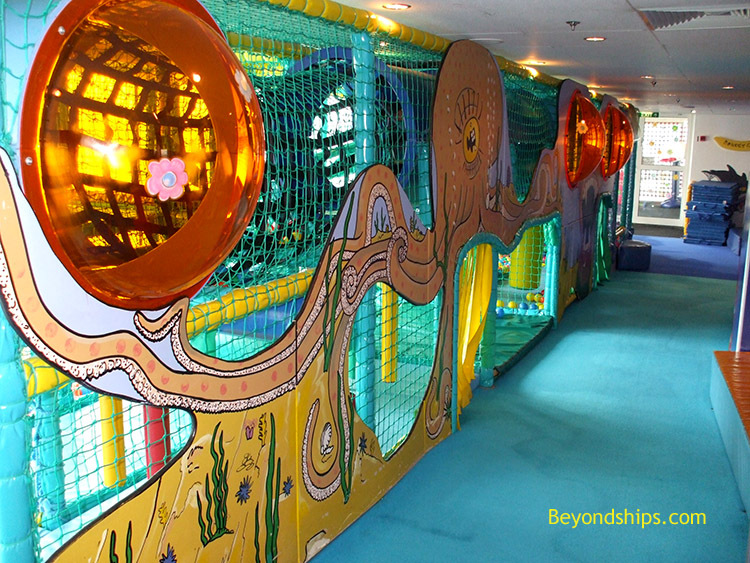 Outside of The Splash Academy's precincts is Buccaneer's Wet & Wild, a pool area with a strong on kids with water slides, a pirate ship and bigger than life statues. 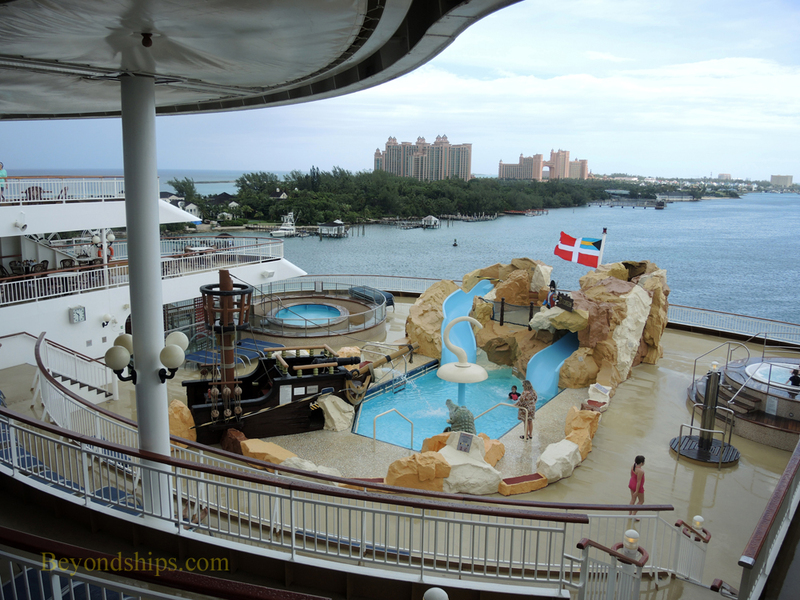 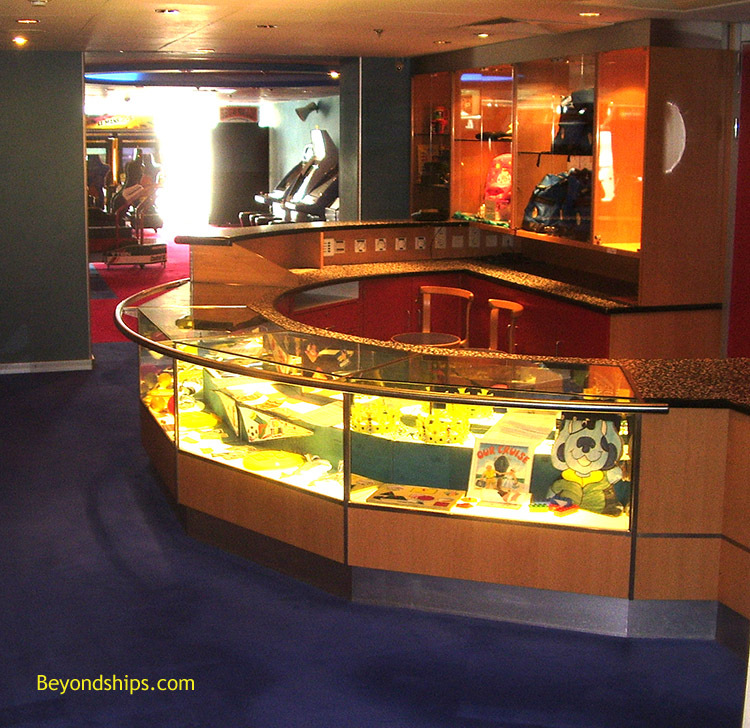 The Celebrity Teen Disco (left) is far from the kids' area, high on Deck 13 at the front of the ship. 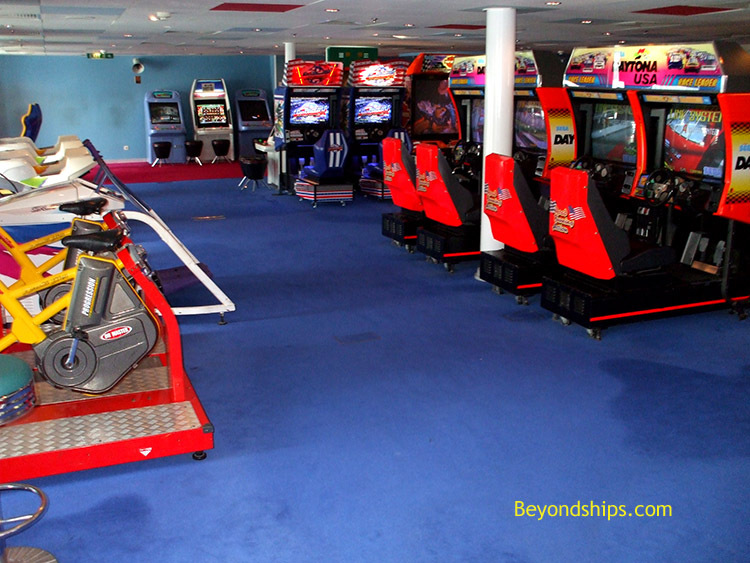 Also of interest to young passenger is the Video Arcade on Deck 7.